The Samsung Chromebook Plus is one of the new generations Chromebooks—built for convenience and better performance. It comes installed with the latest Chromes OS, which is specially optimized to run apps from Google Market. So here is a brief description of this promising computational machine. The design is nothing but brilliant—being thin and lightweight. The body is aluminum, perfect for durability. It has a full keyboard, despite its small size, and an excellent track pad, making it a perfect notebook. It has a thickness of 0.55 inches and weighs 2.38 lbs, ideal for portability. This Chromebooks rocks a stunning Quad HD touchscreen display—made with Gorilla Glass 3 for durability. With 3:2 aspect ration, the 234ppi screens has a resolution of 2,400 x 1,600 at 12″. It also rotates 360°, perfect for laptop, reverse-laptop, tablet, or tent mode. While not the best display on the market right now, it is safe to say that most people will enjoy using it, especially for gaming, and binge watching. It has a Hexa-core processor clocked at 2GHz. This model has 4GB or memory, with a storage of 32GB SSD flash memory. Compared to other similar brands and models, this seems to be the norm. It comes with a built-in pen that can be used to accomplish a lot of tasks. Some of the notable ones include photo editing, sketching, or just doodling. It can also be used to unlock the screen, magnify, and take screenshots just to name a few. One of the top features that have many people excited is that the Samsung Chromebook Plus is specially built and optimized to run apps from the Google play app store. This is advantageous, given that users can access millions of apps from the store—which include productivity, entertainment, games, and education—among many others. Security wise, this is a plus because installing apps directly from the app store reduces the risk of installing harmful software on the device. Here is a clip of the new Samsung Chromebook Plus. All in all, their is no denying that Samsung are onto something with this Chromebook. It is a good Chromebook, and shows how powerful the platform really is. 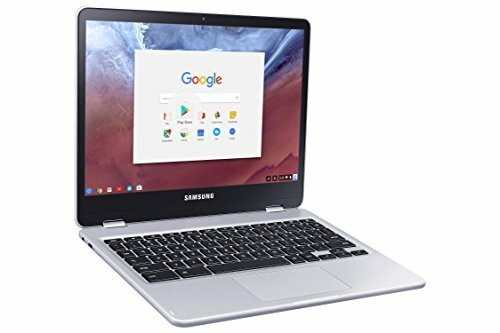 If you are looking for a superb, and affordable laptop, then there is no reason why the Samsung Chromebook Plus shouldn’t be top on your list.